Measurements: Circumference of Bracelet: 20cm. Height of Snake head: 1cm. A snake biting its own tail symbolises eternity. 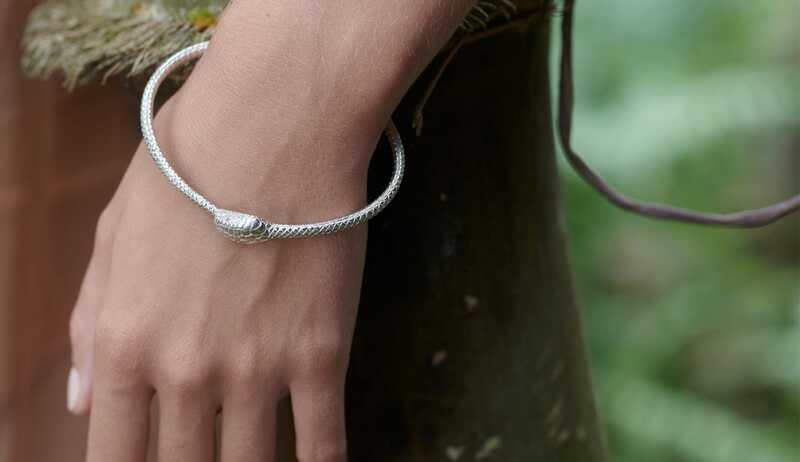 A graceful, textured bracelet that says endless love like nothing else.